-Needs an alignment rod that doesn't come with the package. 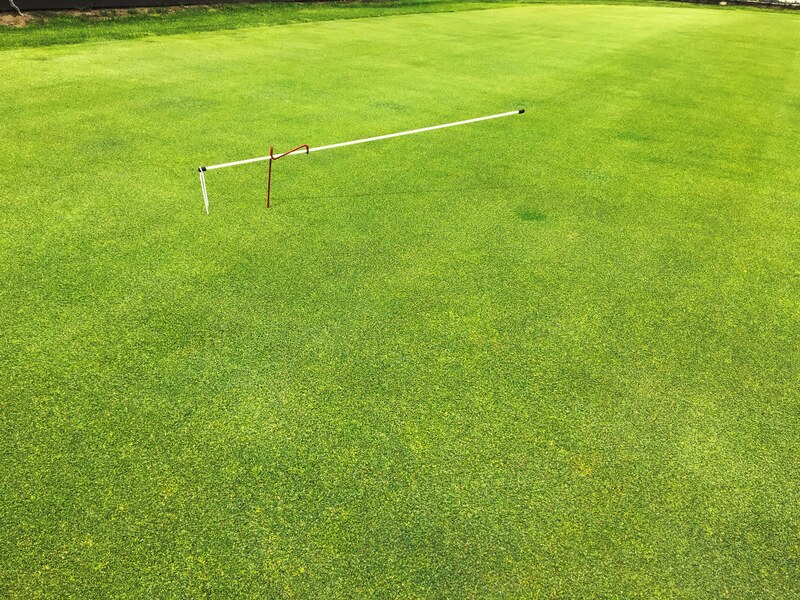 (PlayBetterDistributors.com includes an alignment rod) -Only able to stick in real grass greens meaning it cannot be used for winter practice and indoors. Metal rods bent strategically into various sized gates for the purpose of targets and specifically for supports for an alignment stick. 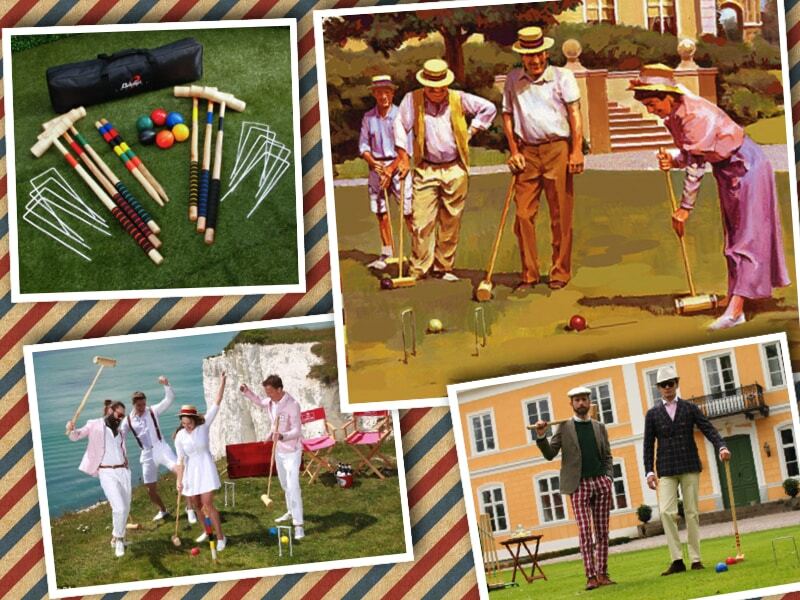 Its similar to the sport of Croquet which involves hitting plastic or wooden balls with a mallet through hoops (often called “wickets” in the United States) embedded in a grass playing court. 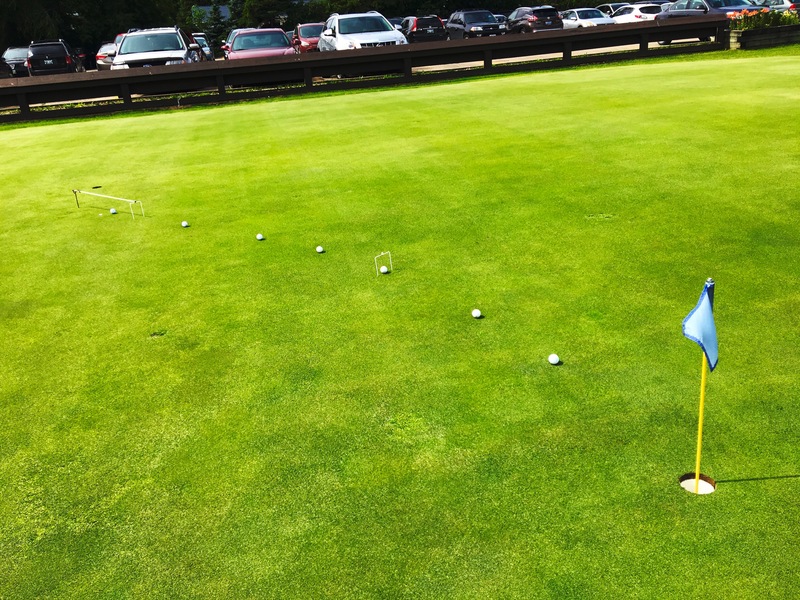 Rather than using a croquet mallet and balls, a putter and golf balls are used. 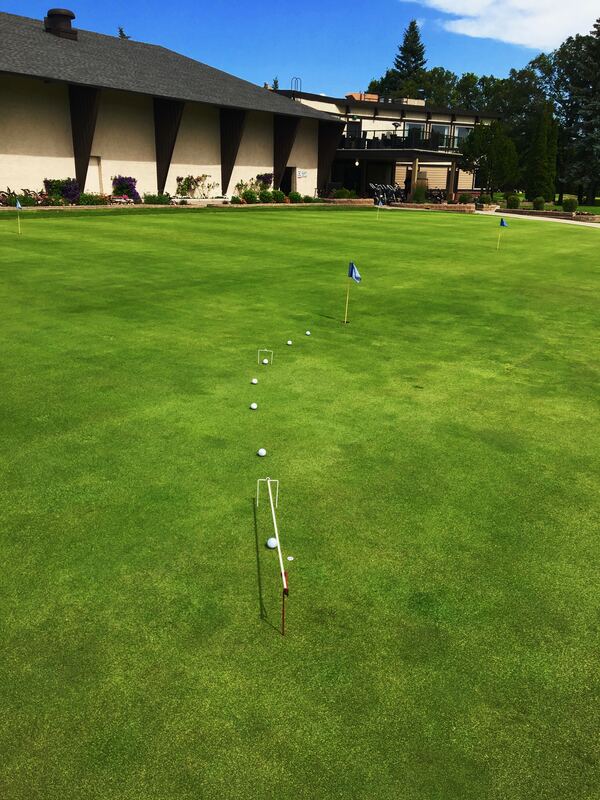 Putting is all about accuracy. 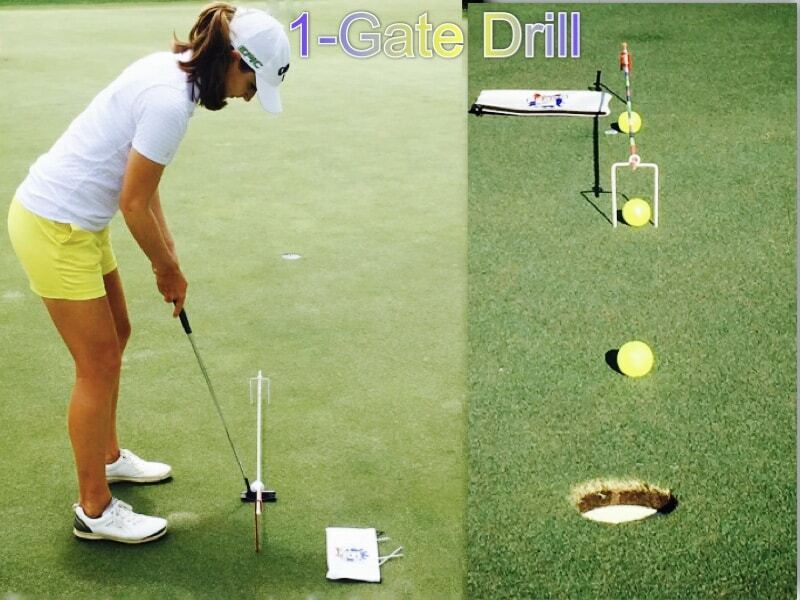 The ability to align your putter face and body in the correct position is crucial to accuracy. There is no benefit to having perfect face angle, path, and dynamic loft if you are not aiming in the right direction! Simply said, you need to point your gun at the target before you pull the trigger. 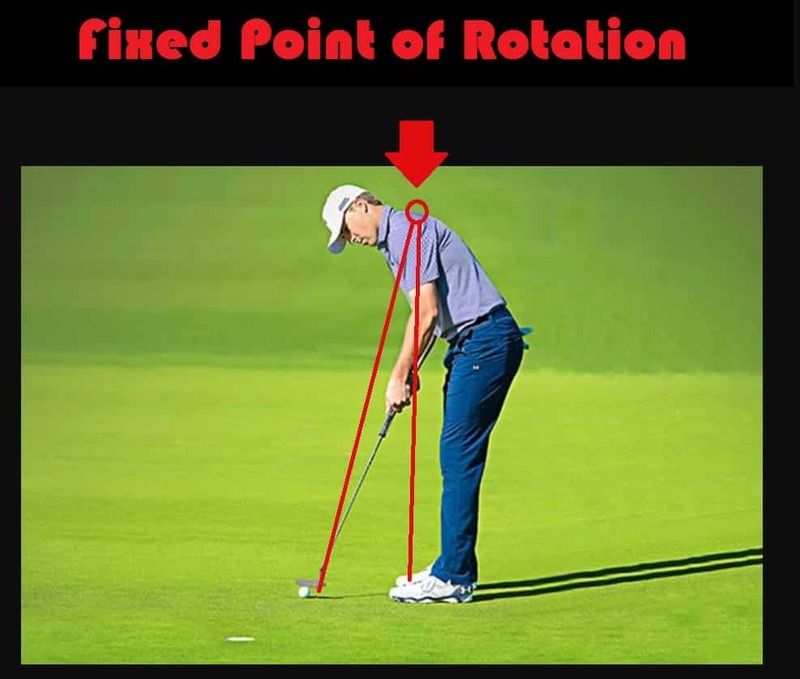 The position of the ball relative to the body depends on the position of the “fixed point of rotation” of your swing rather than the ball position relative to your feet. This is because you need the ball to be positioned at the lowest point of the pendulum. 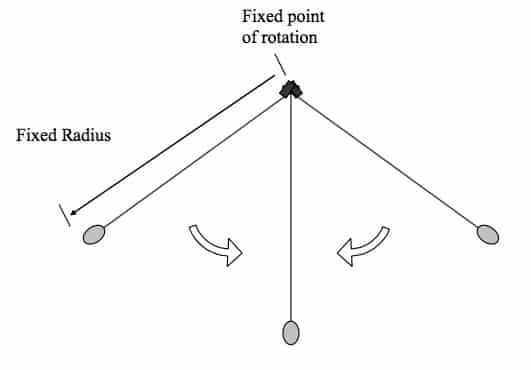 The point of rotation being, the fixed point on your body around which the motion of your shoulders, arms and hands rotate during the swing. This is the point on your spine that is at the top of your shoulder blades. The ball position relative to your feet is going to differ depending whether you adopt a “square” stance or an “open” stance for putting. 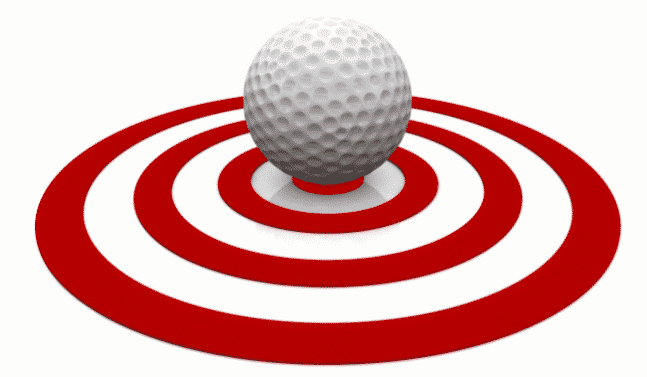 However, the ball position should always be square with your fixed point of rotation. Since you cannot see the top of your shoulder blades, the face of the putter blade should be centered with the middle of the chest ensuring that the face is at the lowest point of the pendulum (the ball mark in the picture). The ball position will therefore be “a ball diameter” left of center of the middle of your chest center line (that’s why in the picture the ball mark is behind the ball). This is because the face of the putter will hit the ball on the upswing generating top spin on the ball which makes the ball roll better. If the ball is placed exactly on center or right of centre the face of the putter will be moving down on the ball as it hits, generating backspin on the ball which causes the ball to skid uncontrollably. This should be avoided at all times. Most putters have 3-4 degrees of static loft, at impact you want that putter de-lofted by a couple degrees at impact (around 1-2 degrees of loft). That combination: a putter rising and 1-2 degrees of loft at impact (dynamic loft) is sufficient enough to lift the ball out of the depression that its sitting in on the green (when a ball comes to rest on the green it actually embeds itself slightly in the surface), and get it airborne enough so that it doesn’t bounce out of the ground but begins true rolling as soon as possible. A picture is worth a thousand words is right, just in 1 page this aid covers so many important aspects. 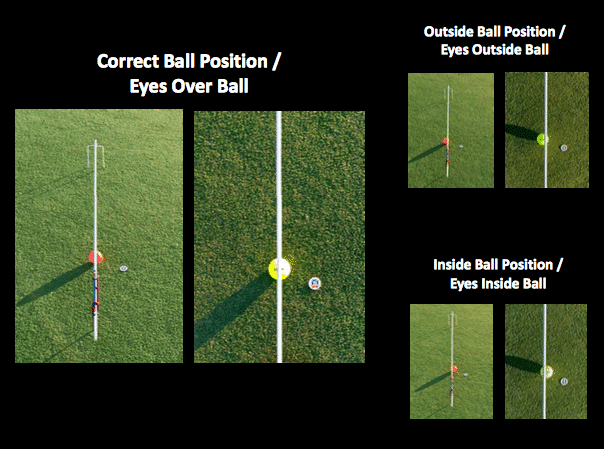 Alignment in golf is tricky because its done from the side and causes visual distortion. The best way I can explain the visual distortion of aligning the putter is similar to when you’re driving your car and you look at your speedometer and it says 50mph but your passenger is looking from a different angle they “see” 55 mph. This is the same principle with alignment. In putting when you are aligning yourself sideways you are like the passenger. 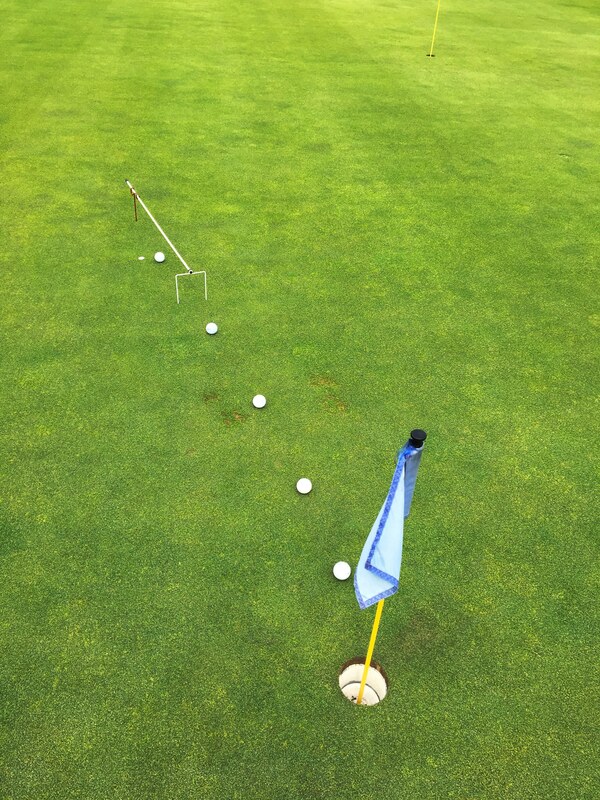 Alignment effects everything, its the foundation of your putting game so take the time to get it right. In the set-up -The face of the putter blade should be centered with the middle of the chest in other words below the ball marker. This ensures that the face is at the lowest point of the pendulum. 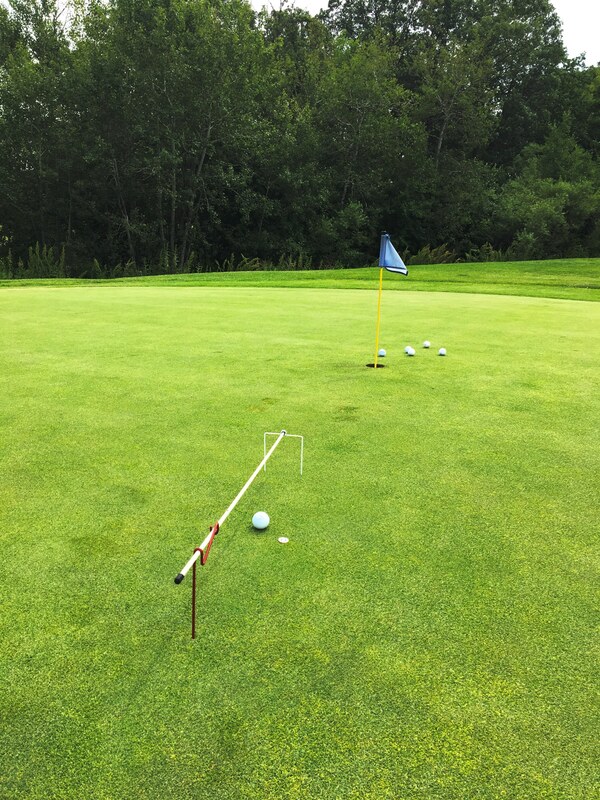 -Placing the ball marker ensures you start from the same place every single time. -The ball position should be “a ball diameter” left of center of the middle of your chest center line. -Your eyes should be over the ball and the alignment stick should dissect the ball. 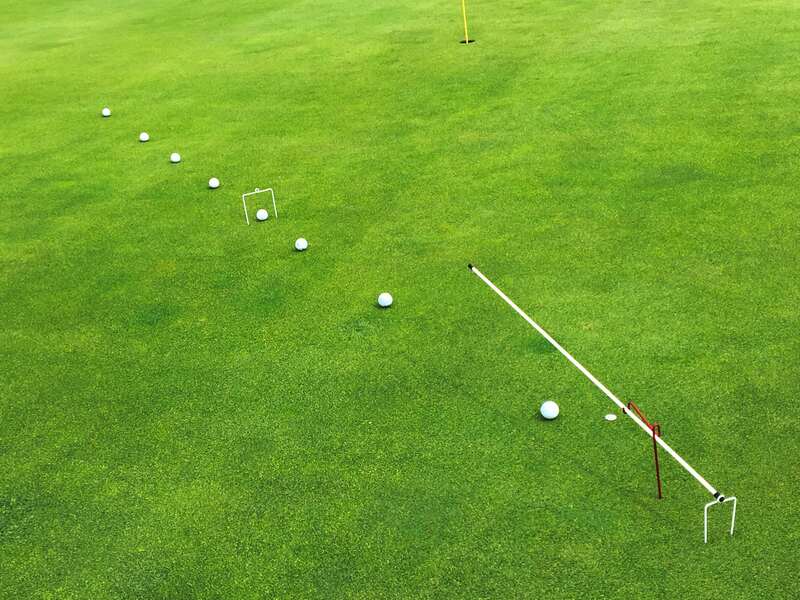 -These aspects guarantee the ball is on the correct line and aligned correctly with your fixed point of rotation 2nd Page (Square Putter Face and Correct Putting Path) In the first part, it goes further into the visual feedback the aid provides in regards to alignment. Specifically the alignment of the putter face. What a square, open and closed putter face looks like. When you set your putter underneath the alignment stick, the line of your putter should be parallel to the alignment stick this indicates the putter is perpendicular to the line we want the ball to travel on. The second section goes into visual feedback on putter path. It provides you with a visual reference of your putter head movement in relation to the alignment stick. This would be a good time to discuss face angle versus path in putting. Face angle: Face angle is going to help with where the golf balls end up even more so than the path that the putter head is traveling. Interestingly, people describe pushing or pulling their putts and they think that thats the direction the putter head is moving. Its actually almost irrelevant where the putter head is moving its where the face is pointing. So when you push a putt, you left the face open; if you pull it, you yanked the face closed. Not really any indication of the direction the putter head was moving. 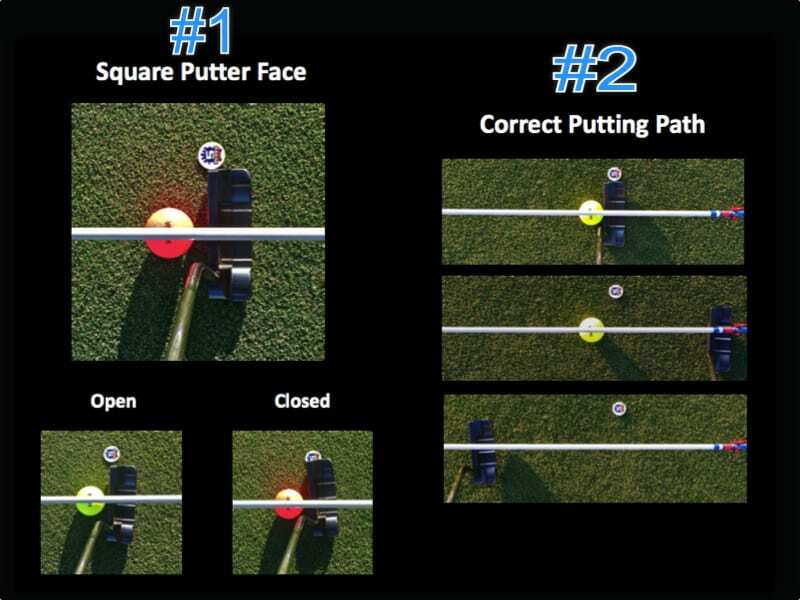 Research shows that a square face angle is 5x more important to starting putts on line than putter path. It shows that face angle determines 83% of the starting line compared to 17% by putter path direction. In other words, the face angle of your putter during impact determines where the ball travels. A poor face angle gives you almost no chance of a successful putt! SO FACE ANGLE IS SUPER IMPORTANT! This happens because you can have wide variations in path because you don’t have this big airborne phase where you create side spin or tilt the spin axis in putting. 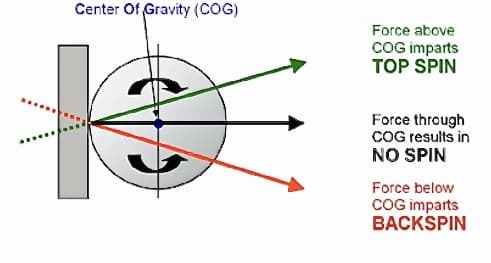 You do have an airborne phase in putting but its not like you get curving of the trajectory of the golf ball because of spin effects as you would in the long game. In the long game that combo where the face is pointing relative to the centre of mass is moving is the variable that creates the side spin. Thats why path is not very important but face is crucial. Don’t get me wrong path does make a difference but its very tiny. 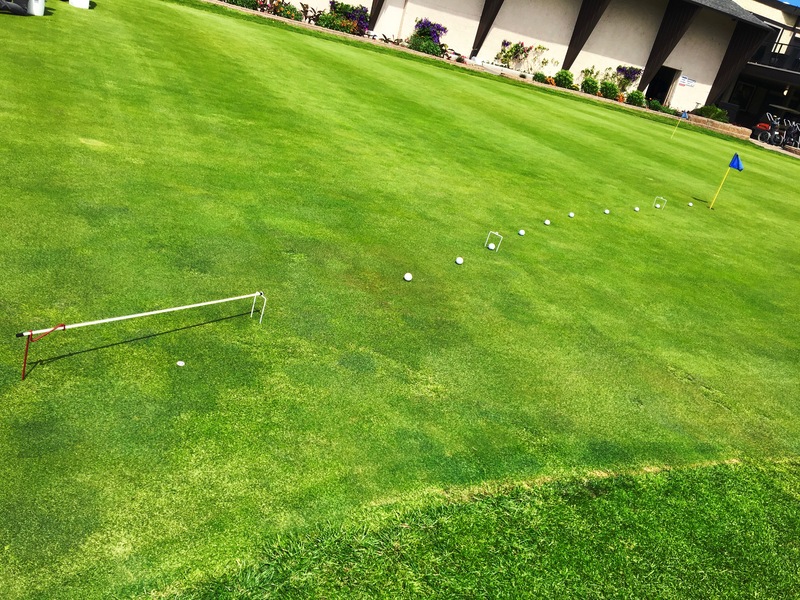 The main thing to achieve with your path is to have a consistent stroke that can produce a square face angle and get it zero degrees to the target line. 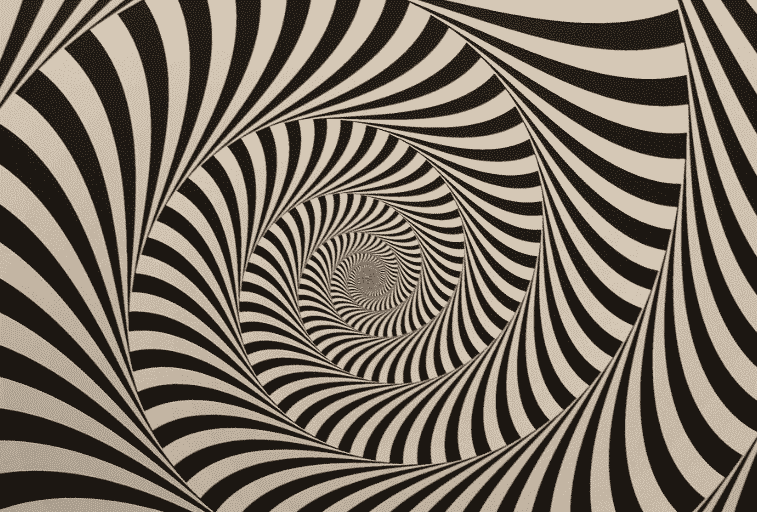 The question is what is the best and most realistic method to accomplish this? Let’s examine the difference between the two main ideologies, “pendulum/straight back straight through swing” versus a “curved swing”. To control that face and get it to zero degrees to the target line can we do a perfect “straight back and straight through swing”? One of the harsh realities everyone has to come to grips with is that all the pros that were measured have arcing to their path. They also open up their putter face during the backstroke and close it during the downstroke. The straight back and straight through approach sounds simple in theory, but in reality is very difficult. This might be because the “natural” swing of the putter as you swing has a curved putting motion similar to that of the full swing. By this I mean the head of the putter comes from inside the target line on the backswing to the striking point of the ball and then back to inside the target line on the follow through. 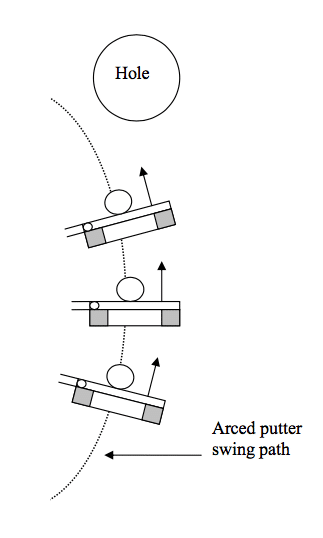 Looking at this motion from a birds eye view the putter head motion would be arced. 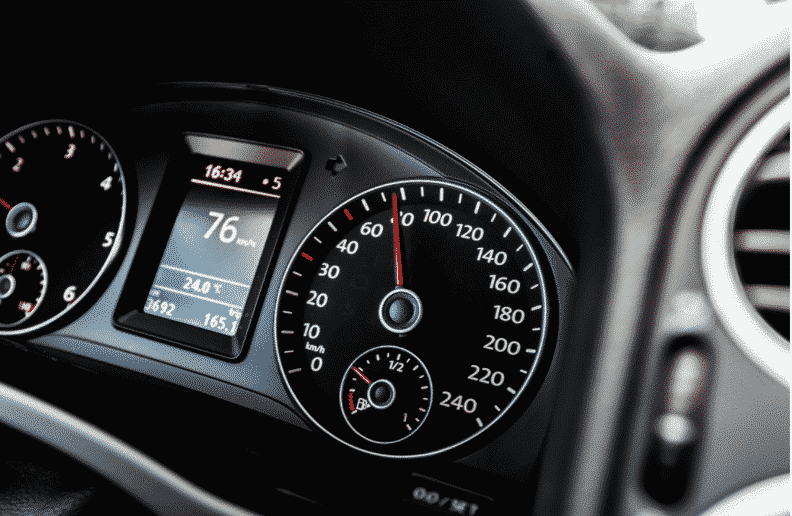 Another reason could be there are many joints and bones in the hands and wrists thereby creating too many variables to control to make such a precise movement. Before you give up on the idea, let’s dive a little deeper into each approach. A) Curved Swing The direction of the putter head path, and the direction in which the putter face is pointing, are constantly changing throughout the stroke as shown below. The only time the putter head direction and the putter face are pointing directly at the target is at the mid point of the swing. After which, both begin to move away from the target line as the swing continues. With this style of swing motion, you only have a very small region to be aiming directly at the target. There is little margin for error. The slightest body movement or miss positioning of the ball in the stance will throw the putt off line. The success of the swing is going to be determined by how well you are able to control the movement of your body and the consistency of the ball position in the stance, both of which affect the orientation of the blade in the small contact zone of the swing. That takes a lot of practice. Now let’s compare this swing to that of the pendulum swing/straight back straight through motion. B) Pendulum Swing/Straight Back Straight Through The direction of the putter head path is always moving towards the target. The direction of the putter face will change slightly from “open” to “close” as it progresses through the swing, but will not vary as much as it does in the curved swing. This swing has a much greater margin for error. Slight body movement or miss positioning of the ball in the stance theoretically will not have as great an impact on the accuracy of the putt. The putter head path is always moving towards the hole. If the face of the putter is not entirely square at contact with the ball, a small ball spin and face angle change may occur but comparatively should give you a better chance of getting the ball in the hole than the curved swing. 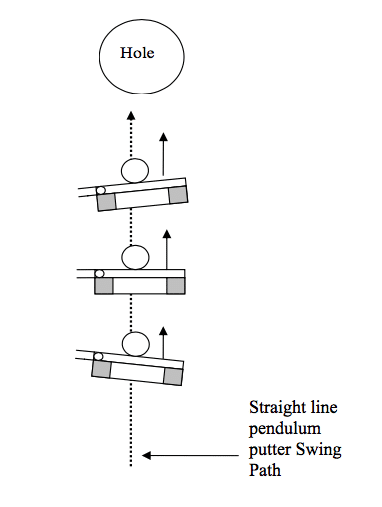 It is difficult if not impossible to create a perfect pendulum swing. That is why most golfers use a curved swing. 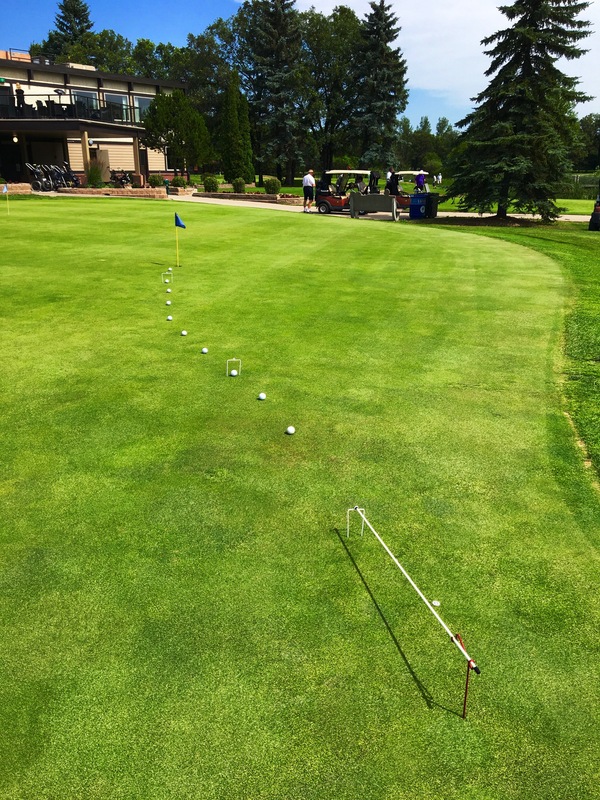 However, the more that you are able to “straighten” the putter path to follow that of a pendulum, the more consistent you will become with your putting accuracy. Page 3 The third page goes over the different gates the PGS comes with and which gate they recommend starting with. 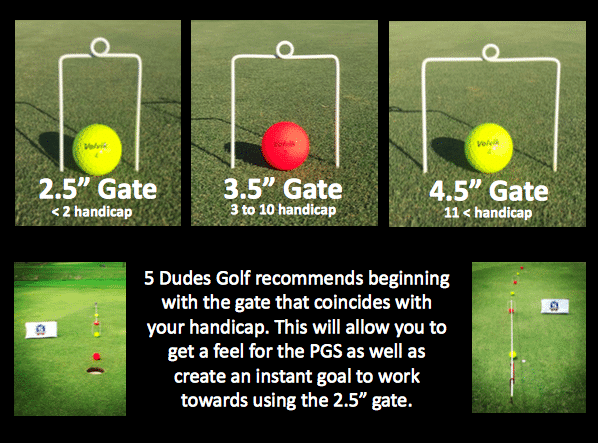 We will go into depth on what feedback the gate provides when we discuss the drills but basically the lower your handicap the smaller the gate, which makes it more difficult. 6th Page (Green Reading) This page talks about a simple but crucial skill, just being aware of what the ball is doing. 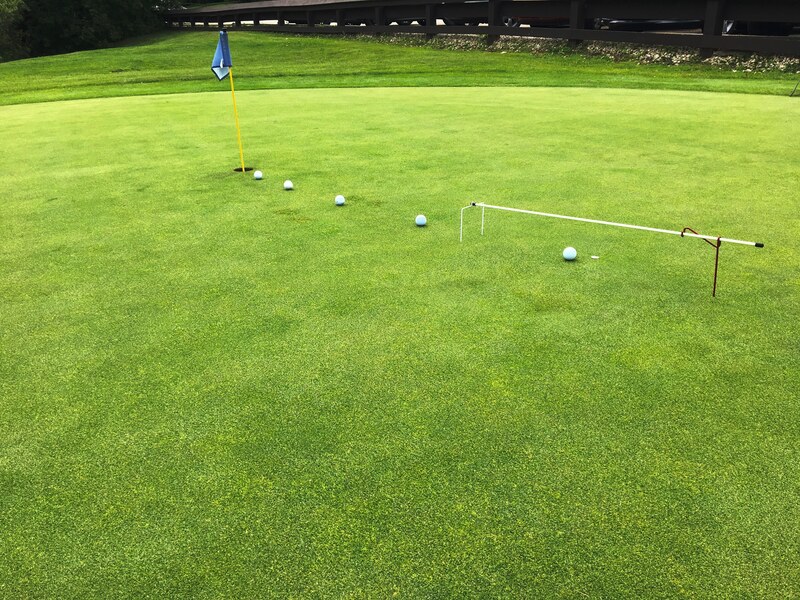 For example, pay attention to the putts movement on each side of the hole, how much is it breaking, and is that different from what you thought the ball would do. This way you can adjust your idea of what you think is going to happen to what is actually happening. 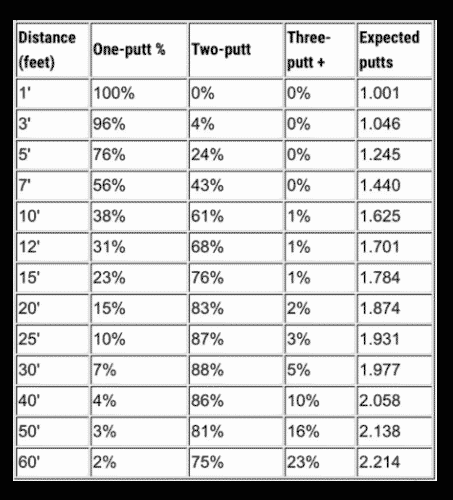 7th Page (PGA Putting Probabilities) The last page has a chart about showing the percentage of putts the pros make from specific distances. 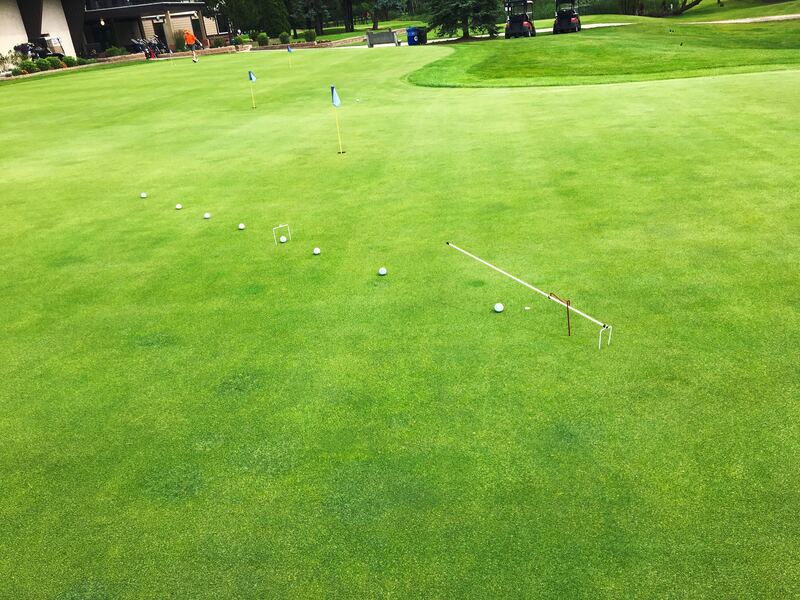 This is great because it brings people back to reality and gives them realistic goals to strive for in their putting. 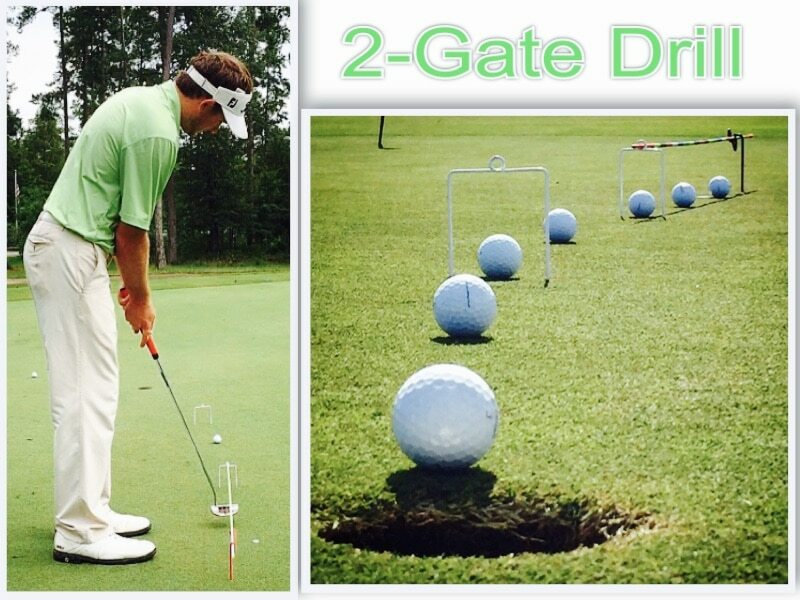 This aid is very effective because it provides easy to understand visual and negative feedback (negative feedback: ball hitting the gate is an improper motion) on every aspect of putting (initial direction, alignment, distance control and green reading). 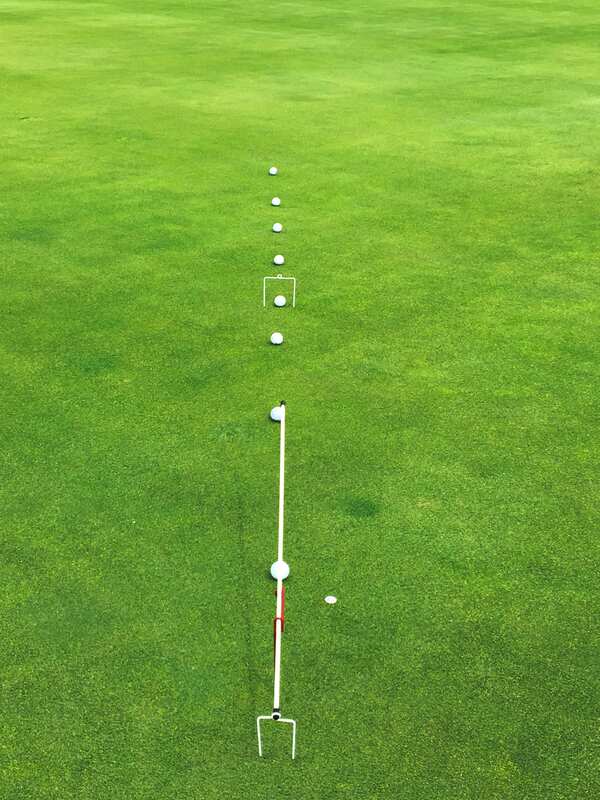 It is the most complete putting aid system we have tested, it will definitely improve anyones putting. The PGS is a well made product. Each piece is sturdy and I can’t see this device ever breaking. I imagine it will be usable for your entire golfing life. During our testing we had zero issues. 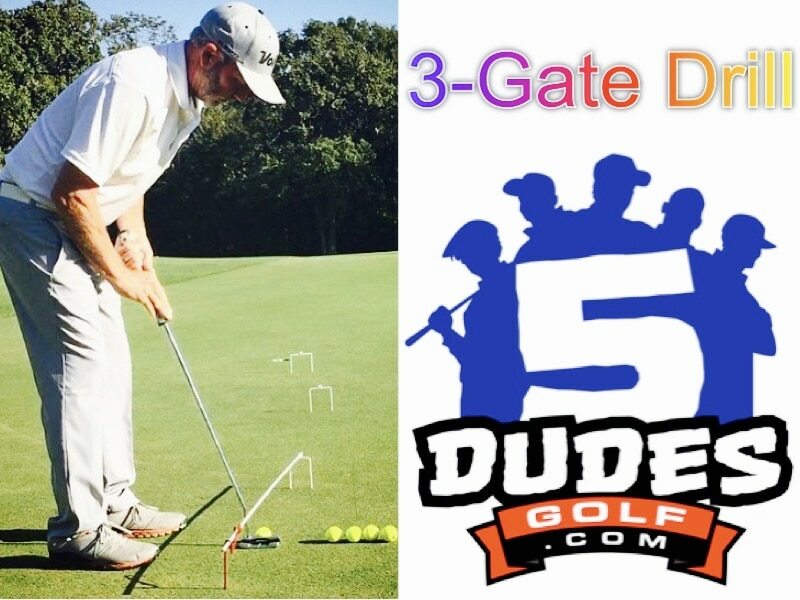 The Dudes have really developed a great putting aid that can help each and every one of us improve our putting while also keeping it fun to practice. 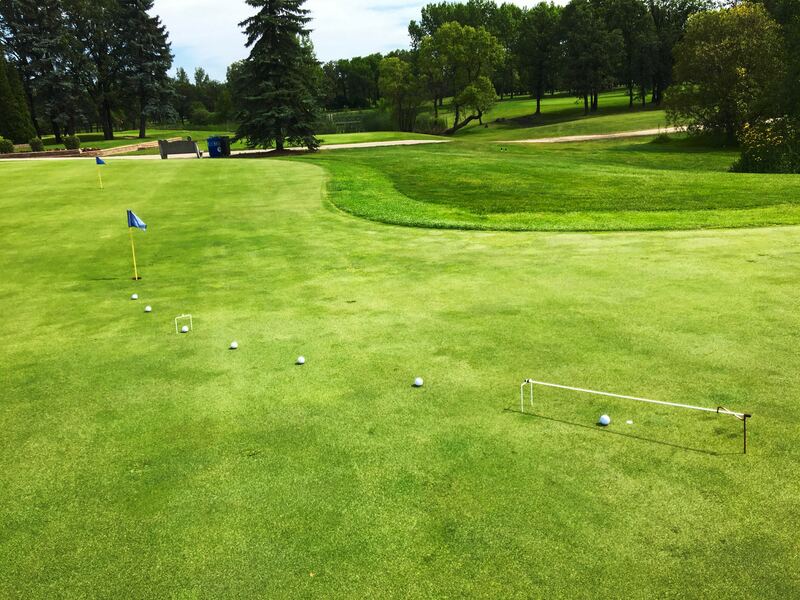 With just a few practice sessions you will identify the issues hurting your stroke and your score. It is easy to use, simple to set up, durable and very effective. Due to the multiple faults this aid can help fix and it’s affordable price I feel that golfers get a good bang for their buck. 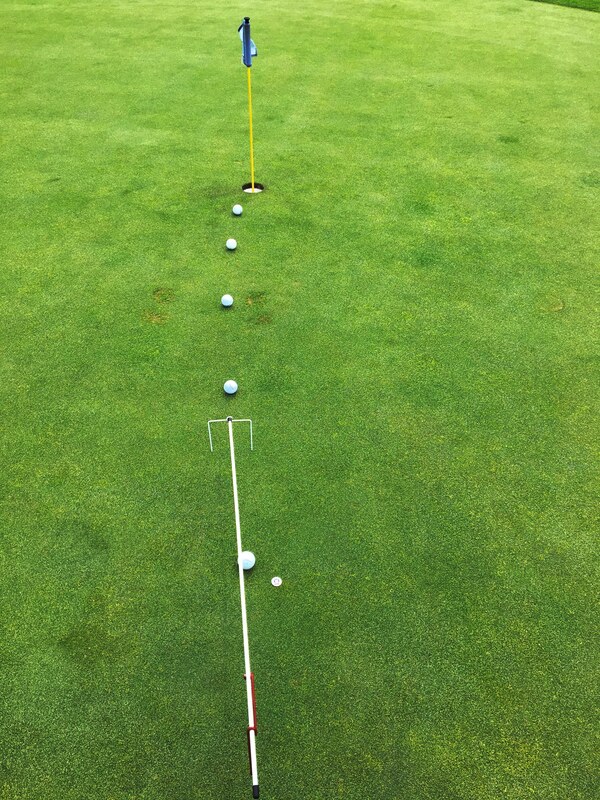 It is the most complete putting system we have ever tested so far! Listed below are some similar aids to the PGS. Keep in mind that if these aids are cheaper they only address a single swing fault in putting. 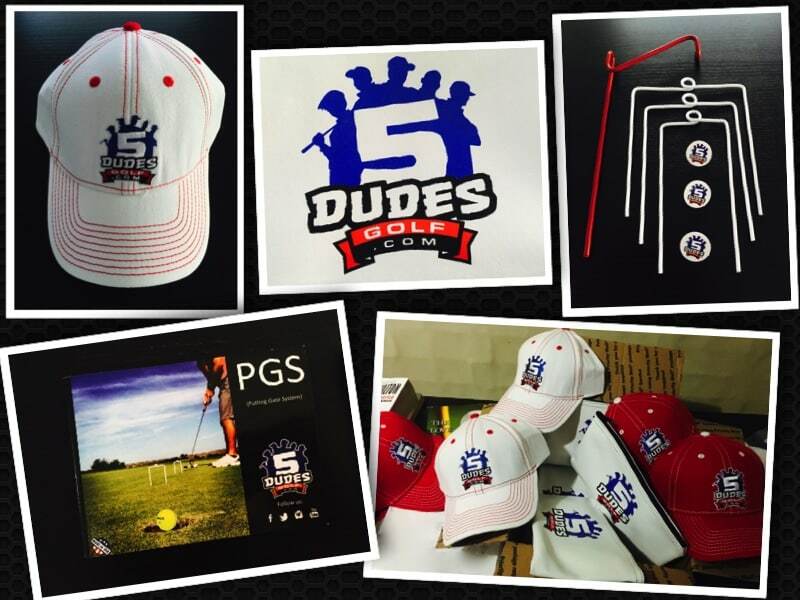 Therefore, golfers may need to buy multiple aids to help with their putting, causing the price tag to add up more than what the PGS costs. There are much more aids out there that are not listed below. If you have any questions regarding a particular aid, you can send me an email.